Rough finishes the profile and prepares material for polishing; 3/8" rounded bevel. The Raimondi Bulldog Bullnose Machine bullnoses and bevels and polishes your marble, granite, single and double-fired porcelain, and other stone materials. 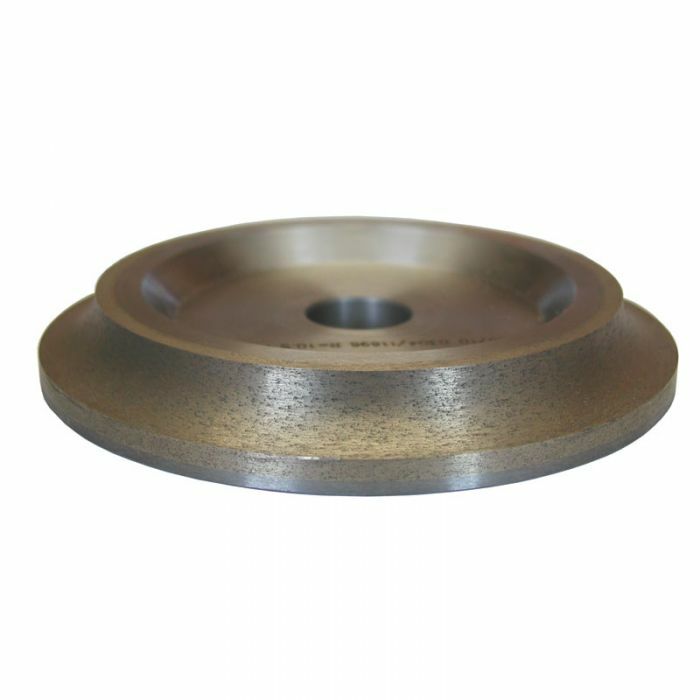 The Raimondi Bulldog Finishing Wheel is the second of three steps of the bullnose polishing process.